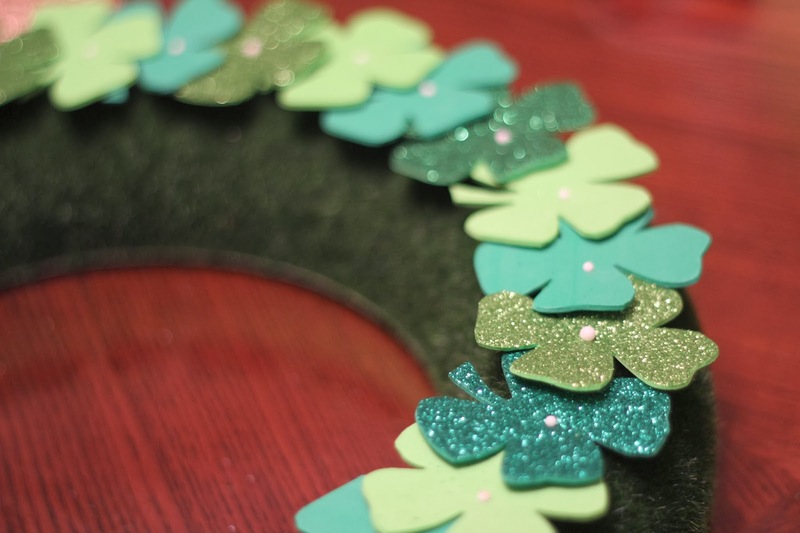 Women on a Mission: Mom Edition: ST PATTY'S DAY (LUCKY) WREATH! 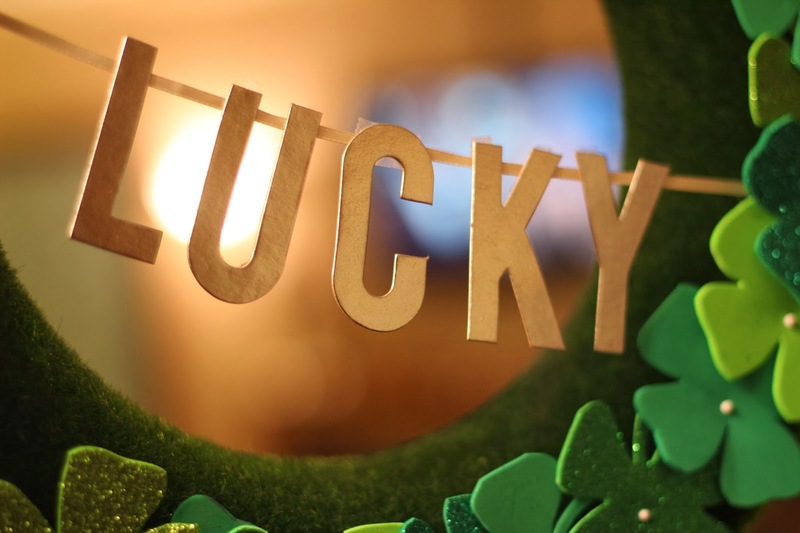 It's March (and that mean it is almost St. Patrick's Day). I am roughly 1/4 Irish...and I like to celebrate. This year, Steve, Crafty G-Ma (AKA my mom), and I will be in NYC for St. Patrick's Day weekend, and I CANNOT WAIT! Steve has a conference and Mom and I will explore. I promise to post about all my adventures (trip planning) and a trip recap (after we are exhausted from our adventure). Prior to leaving, I want to be sure the house looks festive and GREEN! Mur-man is probably like 1/45th Irish, so he needs to celebrate too. 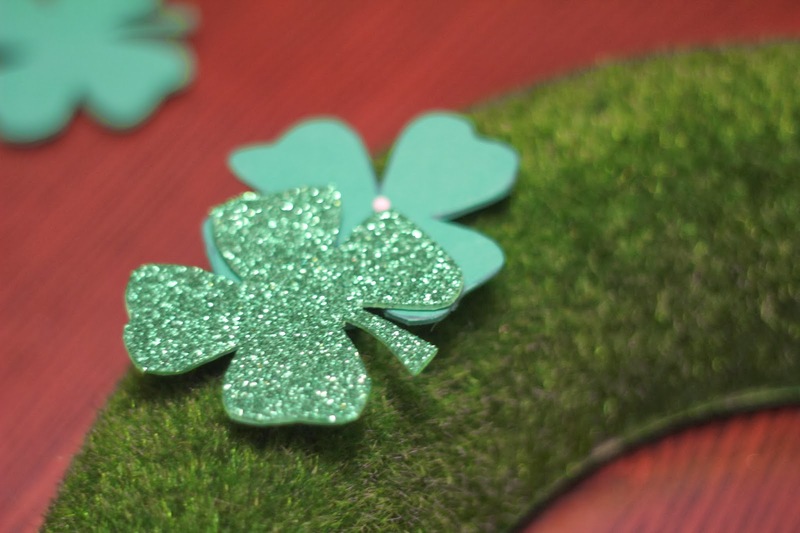 I knew I wanted to whip-up some St. Patrick's Day decor, but I wanted to spend NOTHING! 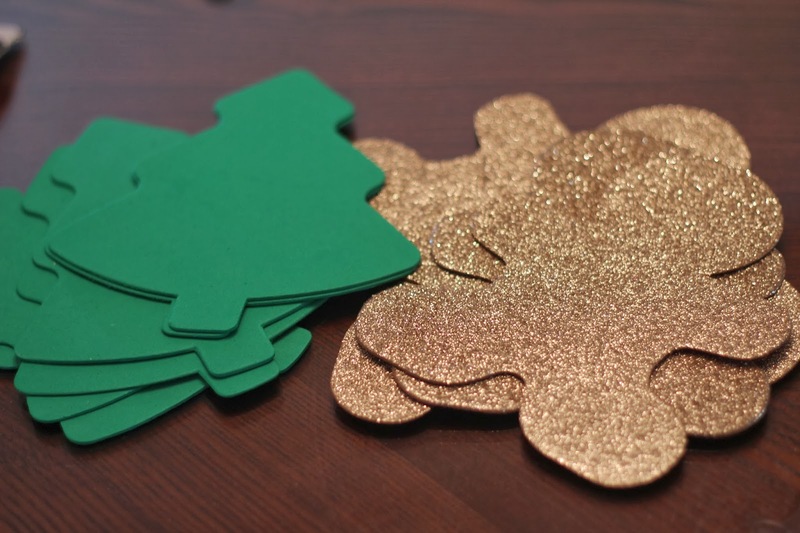 I crashed my craft stash and found some light colored foam Christmas cutouts (purchased at 90% off after Christmas). I searched on Google Images for a four leaf clover design and printed it. 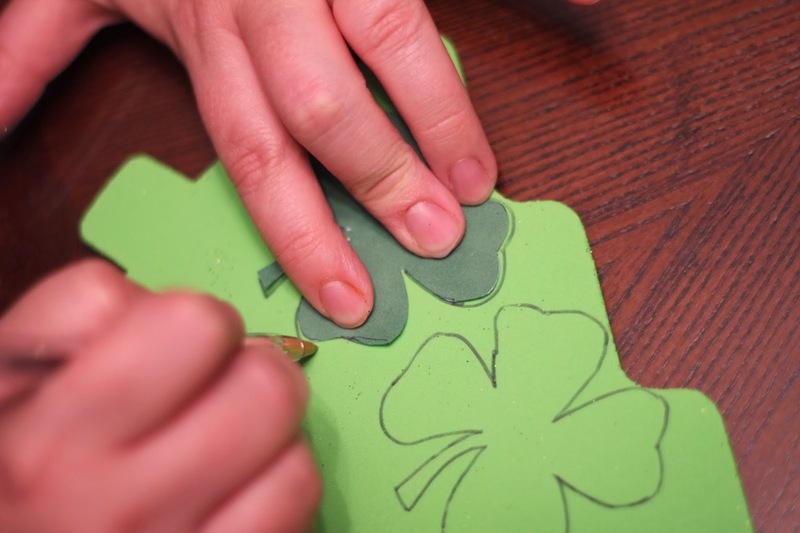 I then traced the design onto the foam and cut-out. 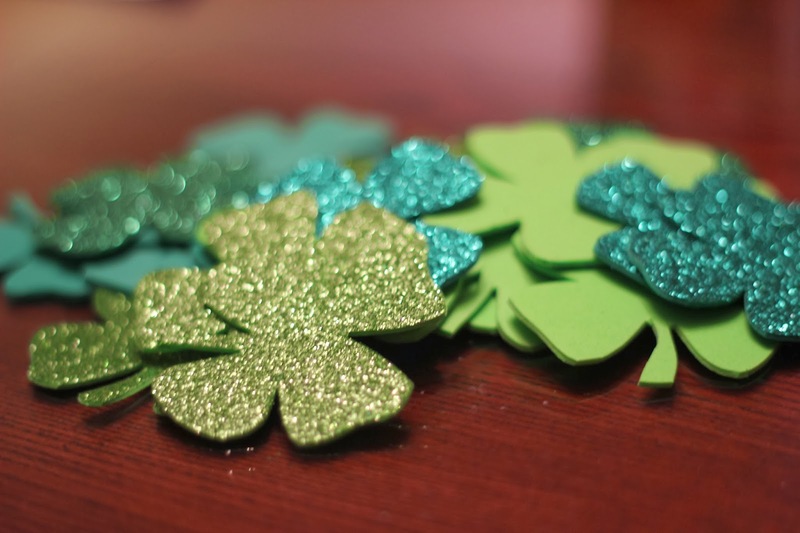 I decided to go with a variety of green clovers (including glittery clovers too). Using straight pins, I poked them into a green foam wreath (also in my craft stash). Next, I attached ribbon to the wreath. I also taped on the LUCKY letters (found in the $ section of Target).